hd01:26CIRCA 1940s - The different occupations in the machinistos trade in 1942.
hd00:08Pint glass being cleaned at the bar. 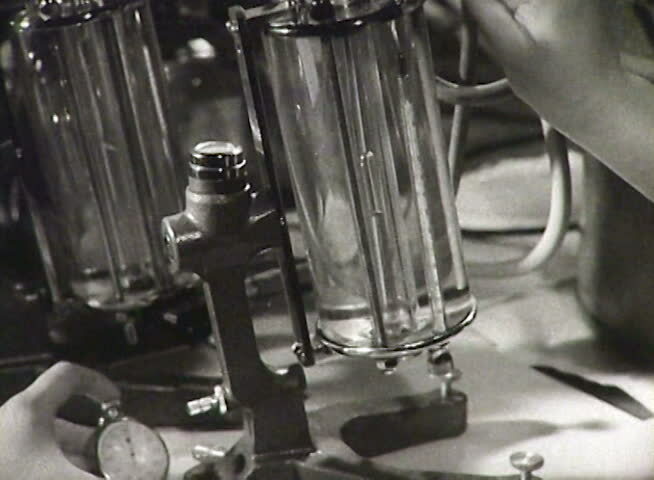 hd00:53CIRCA 1930s - Chevrolet Motor Company engine pistons are prepared and polished on the assembly line in this 1936 industrial film. hd00:17Holder warmed compressed ground coffee. hd00:42Coffee grinder working. The machine making coffee powder.